Wood Group has supported a project to bring biogas energy to the village of Njiningwa, Belo in the North West Highlands of Cameroon. Where families previously relied on daily treks to gather firewood as their main source of energy, now they have access to biogas produced from the village pig farm, ushering in a brighter future for the village. 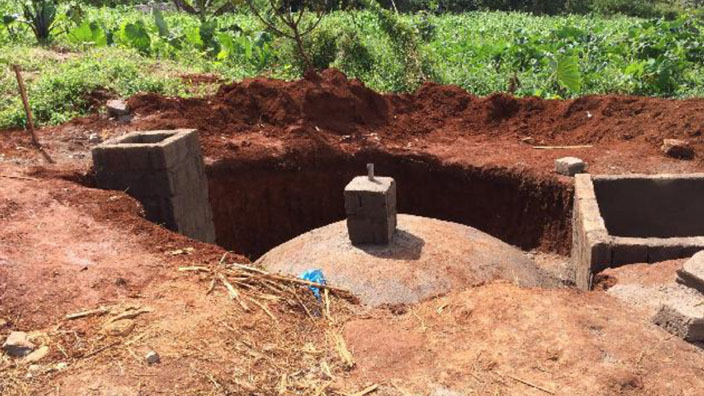 The system began producing energy in May and one kilogram (2.2 pounds) of pig manure can produce around 0.35 cubic metres of biogas. That is enough to cook a day’s meals for 8-12 people. The project was made possible by funding from the Wood Group Community Support Programme and delivered by the Afri-Link and BERUDA (Belo Rural Development Association) charities. The project to construct a biogas plant and fish farm for the village started in January this year to ensure the majority of works were completed during the dry season. Local support was on hand to help with the construction and almost all of the work took place on site.